Sol 10, December 7, 2018. 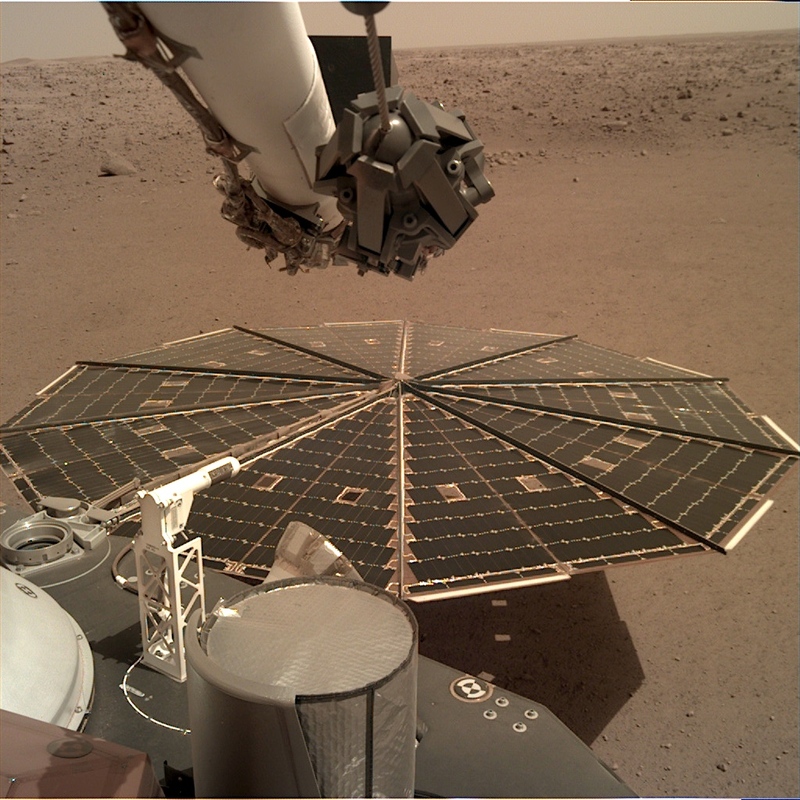 InSight is continuing to set up shop on Elysium Planitia; the Instrument Deployment Camera (IDC) is recording the steps as the spacecraft unpacks after the trip from Earth. Each IDC image has a field of view of 45 x 45 degrees. Click the image to enlarge it. This entry was posted in Reports and tagged Elysium Planitia, IDC, InSight, Instrument Deployment Camera, Interior Exploration Using Seismic Investigations Geodesy and Heat Transport, Jet Propulsion Laboratory, JPL, NASA. Bookmark the permalink.